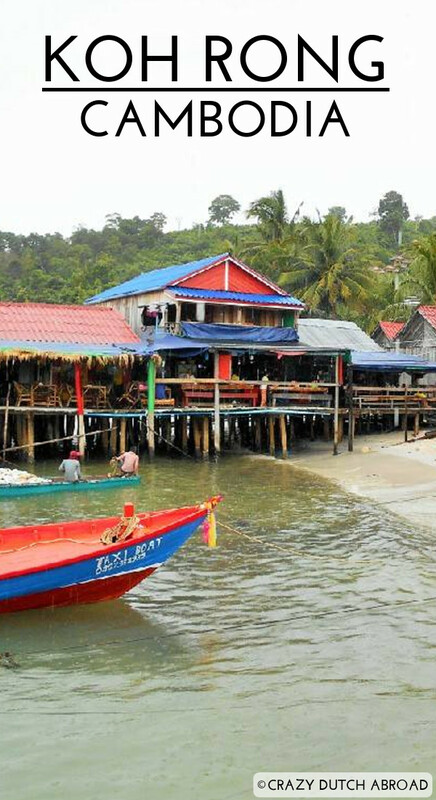 Both islands (Koh Rong and Koh Rong Samloen) are still ideal backpacker places with white sandy beaches and beach bars/restaurants. It's a little bit 'reggae-style' around the harbor. You'll find hammocks and swing stairs all around and people seem to live in a small community. Relax, have some food/drinks on the beach, and enjoy the vibe of these tropical islands. There is a growing focus on the environment and education but the process seems slow considering the way the construction goes on and all the garbage laying around. It seems like these islands are slowly getting ready for big changes in tourism, more developed and more expensive which will attract a different kind of tourists. Make a reservation for the ferry back to Sihanoukville or you might end up waiting for hours. Expect air-conditioning, if you're lucky there's power for your fan all night. Children playing with a huge knife.